This teacher has cleared a multi-state background check. 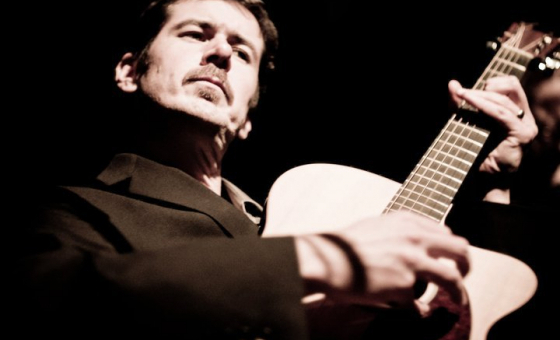 Guitarist David Pedrick has earned accolades from critics and audiences alike for his work in a wide variety of styles. His performance credits run the gamut from jazz clubs to concert halls and he has been invited to perform for guitar societies, concert series, musical theater productions and music festivals throughout the U.S. As a recording artist, David's work has received international acclaim and has been featured on more than 200 radio programs in the U.S., including All Things Considered, Celtic Connections, Celtic Heartbeat, Classical 24, Colors of Jazz, Crossover, Desert Island Discs, The Green Island, and The Intimate Guitar. In addition to original compositions, arrangements and transcriptions for theatrical productions, recitals, chamber concert premieres and jazz performances, David's music has also been featured on National Public Radio, Public Radio International, the British Broadcasting Corporation and the Canadian Broadcasting Corporation. As a music educator and clinician, David has been invited to give master classes, lectures, clinics and workshops for professional and community music organizations, colleges, universities and school districts throughout the Mid-Atlantic region. David earned a B.S. in Music Education and a M.M. in Classical Guitar Performance from West Chester University and has served as a contributing author for the Guitar Foundation of America and The National Association for Music Education. My primary objective as a guitar teacher is to identify how each student learns and introduce concepts and technical performance information based on that individual learning style.